Hi there. To be brutally honest, I’ve always hated writing these About me pages!!! Artist, writer, teacher, parent, partner, photographer, cook, traveller, gardener, wine drinker, and professional moaner. I’m a mixture of all of these. Some I do rather well, some I think I do rather well, some I’m still learning how to do, some I do more than I should and some I wish I didn’t do at all… I’ll leave you to guess which is which!!! I am a freelance professional artist, currently living in the rather beautiful Derbyshire countryside. I mainly specialise in mixed media painting & collage, sculpture, pen & ink drawing and portraiture. After graduating from the University of Derby with a BA (hons) Fine Art Degree in 2001, I have continued to practice as a mixed-media visual artist and have exhibited and sold my work throughout the UK. I have also undertaken numerous exciting and challenging commissions and arts projects over the years. When the artwork doesn’t sell, I teach, and to be honest I really enjoy doing so. I have a vast amount of experience as an arts practitioner & tutor. I’ve delivered many art workshops and taught classes/courses at numerous educational establishments across the UK, for both children & adults. Belper Arts Festival – May 2018 Belper, Derbyshire. Melbourne Arts Festival – Sep 2017 Melbourne, Derbyshire. Belper Arts Festival – May 2016 Belper, Derbyshire. Belper Arts Trail – May 2015 Belper, Derbyshire. Visions of Sudbury – May 2014 Sudbury Hall, Derbyshire. Collage & Assemblage exhibition – Jan 2011 Embrace Arts, Leicester. Mixed media collage – September 2010 Art in Empty Shops, Derby. Collage – 14th November 2009 – 2010 Empire Theatre Liverpool. Temptation – 29th June – 6th July – 2007 Ashbourne Town hall, Derbyshire. Black & White – 27th March – 27th April – 2007 Claire Galleries, Birmingham. Wirksworth Festival – 9th & 10th Sep – 2006 Moot Hall, Wirksworth, Derbyshire. Growth – 1st & 2nd July- 2006 Ashbourne Town hall, Derbyshire. Growth – 4th & 5th June – 2006 Arts & Garden festival, Draycott, Derbyshire. Brass construction – Oct – Dec – 2005 Burton Brewhouse, Burton on Trent, Staffordshire. The Pentogram & the elements – 29th & 30th May – 2005 Arts & Garden festival, Draycott, Derbyshire. Brass with Red lentils – Sept – 2001 Wirksworth festival, Derbyshire. Living Sculpture – June – 2001 Pocklington Arts Centre, Pocklington, East Riding Yorkshire. University of Derby degree show – June – 2001 University of Derby, Britannia Mill, Derby. The Visitor – March – 2001 Beverley Art Gallery, Beverley, East Riding Yorkshire. Repetition with Brass – Feb – 2001 University of Derby, Derby. Angel in Flight – June – 2000 Regents House, Irongate, Derby. My other creative outlet in life, when time permits, is my writing. Aside from keeping the blog active on this site, I have also written and published two books, which are available to buy as e-books or hard copies. Miss Clara Holdsworth Villa was bought in the snowy winter of early 2013. An old retro 1984 VW campervan. We’d never owned a campervan before, we’d never driven a campervan before. Also, my lack of any mechanical knowledge was simply laughable. But none of this deterred us from our long held dream of owning an old trendy campervan. How hard could it be? 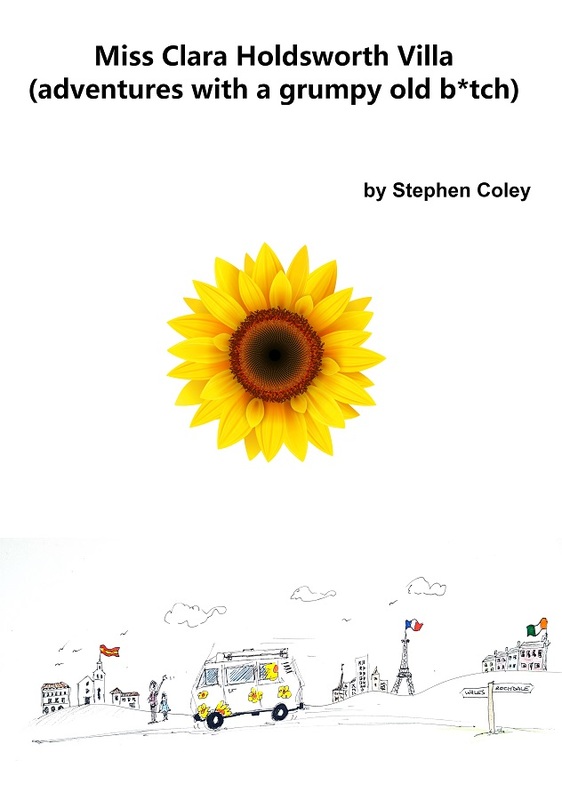 This book documents the first four, entertaining and stressful years with our beautiful but often erratic old camper. We travelled, a lot, in Clara. Sunny Spain, France, Belgium, Ireland, Wales and plenty of adventures nearer to our Derbyshire home too. Yes she broke down, a lot; mostly when we were far from home. Yes we truly hated Clara at times, but never for long. After four adventurous years with our troublesome campervan, Clara was now very much part of the family. Life is never dull with Clara. Add a manic springer spaniel into the equation and a family who seem completely incapable of having a ‘normal’ holiday and you’ve got yourself a small taste of what this fun little story contains. 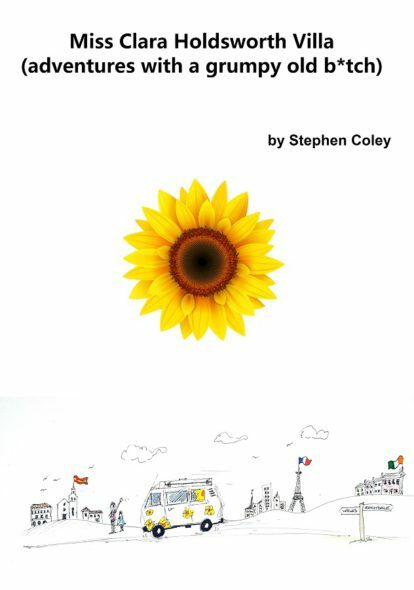 Besides the expletives and temper tantrums this book is an account of miserly French breakfasts, a very temperamental Sat-Nav called Natalie, accommodation problems in Milan, car problems in Germany and without question the most disorganised ‘monument’ you’ll ever experience, to name just a few. There’s also a hair-raising drive through the Alps, a bit of surreal culture in Spain and the unexpected delights that are German Mini Dickmanns!!! Oh, and just a few references to my beloved, rather shabby straw hat.